• High MOI head over 8500 with tremendous twist-resistance and distance control on off center hits. 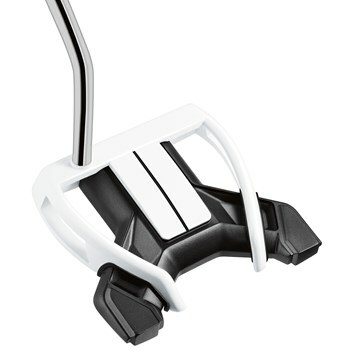 • 130 gram grip counterbalances the head-weight to help you swing the head smoothly and on path. • PureRoll Surlyn insert promotes smooth roll straight of the face. • White leading edge and single, simple black alignment line make alignment easy.